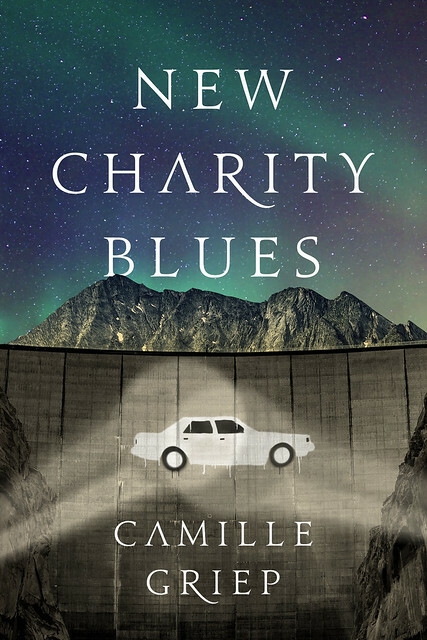 For today’s Big Idea, Camille Griep goes all the way back to the Trojan War for inspiration with her new novel New Charity Blues — and picks up the story of two characters you might not expect. The empty spaces in fairy tales, myth, and folklore insatiably lure some writers, and I’m no exception. We’ve wallowed in the untold tales of Oz, the fleshing out of King Arthur, and the exploration of the Grimm’s Ever Afters. (Heck, I even wrote one of the latter.) With New Charity Blues, I knew I wanted to look a little deeper in the Old Story pile. Though the Trojan War and its fallout has received beautiful and innovative treatments from Madeline Miller’s Song of Achilles to Margaret Atwood’s The Penelopiad, there were two stories I thought needed a further look: those of Cressida and Cassandra. Way back in the olden days when I was in college, I remember one of my favorite professors marveling at length at how a certain car company could be so stupid as to name their sedan a Cressida. “Hey,” I thought to myself, in a fit of tacit cowardice. “It wasn’t her fault she had to fend for herself in the Greek’s camp. Who knows, maybe those cars are scrappy and reliable?” Honestly, though, I had no idea. My family bought American, and I could only dream my moldy LeBaron into a vehicle that didn’t slurp up a bottle of power steering fluid a day. New Charity Blues puts a magnifying glass over the perspectives of Cressida (Syd) and Cassandra (Cas), but to do so, I needed to significantly quiet the violence (the magic of trial and error revealed that one can only kill so many characters per chapter unless one has a four letter monogram). To tell the story of the two women required an allegorical war, and to tell a contemporary version of that conflict, I needed an apocalypse. I chose to enter the story after a pandemic has swept the (unnamed) country, introducing Syd amid the ruins of a city crippled by lack of water and Cas atop a desert-turned-verdant paradise. Ripping inspiration from the headlines usually my bag, though in my case, I admit there might be a bit of subconscious passive aggression in New Charity’s water-rags-to-reservoir-riches tale. Growing up in the dry foothills of Eastern Montana, waiting for the trundle of the water truck so that I could take a shower, I might admit to a certain glee in giving the city girls the short end of the cistern measuring stick for once. Regardless, New Charity has the water the City needs. And they aren’t sharing. As with so many wars, the resentments between the two communities run long and deep. Syd left with her mother for the city at 14 to become a dancer, leaving her small town beginnings and her friends behind for the bright lights. Her father, who had been slated to join them, found he could not and chose New Charity over her family. Readers meet Syd six years later, and she’s plenty jaded, having lost her mother, her city, her career, and her purpose. When a letter arrives with the news her father has died, a final door shuts on a possible reconciliation for all that hurt. The letter, however, contains an opportunity: a way in to the gated bastion of all things painful in her past. On a mission, Syd arrives in a New Charity much changed from her childhood, though some things have stayed the same. Syd notices that her childhood friends, Seers Cas Willis and her twin, Len, are the same “perpetual whirlwind” they’ve always been. But while Len is fumbling his way into adulthood despite his insulated environs, Cas is reticent to even think about who she wants to be – her mother treats her like a baby, her father uses her a fortune-telling political puppet, and her brothers use her as a reliable sidekick. When Cas foresees Syd’s arrival, she’s relieved. That is, until she accidentally learns more about Syd’s father’s death; it calls into question the magic of which she and her brother are the last keepers. And here is the crux of the big idea: Syd wants to turn the water back on and save her beloved City, but hits a snag when she learns the repercussions of her plan. Cas wants to prove her town isn’t the monster Syd is painting it as, but cannot seem to convince herself the more she learns and reflects. Their friendship grows, changes, and prevails, even as the conflict escalates via tiny decisions – ones made for all the right reasons resulting in all the wrong outcomes. Syd’s search to find peace with herself and the people around her will hopefully allow her to fight back against her literary reputation of inconstancy. Cas’s awakening to the wider world around her will challenge perceptions of her poetic forbear’s naïve hysteria. Their stories could be told a thousand times more, and with any luck, they will be. Very interesting. Also, that is an awesome book cover right there. Kudos for citing Home at Last, one of my favorite songs ever. I love the idea of bringing these two characters together!